Defying the fridge-nuke-decrying, Crystal Skull-loathing masses, Steven Spielberg has made it clear that his least favorite Indiana Jones movie is still 1984’s bug-covered, monkey-brain devouring weirdness factory, Indiana Jones And The Temple Of Doom. This is per The New York Daily News, which recently confirmed Spielberg’s hatred of the film in a chat with Susan Lacy, the interviewer/director for HBO’s upcoming doc about the legendary filmmaker, Spielberg. You’d think Spielberg would have a certain nostalgic fondness for Temple, given that it’s where he met his wife, Kate Capshaw, who played screaming chanteuse Willie Scott. But, as noted by The Playlist, he’s actually derided the film before: “I wasn’t happy with the second film at all,” Spielberg told reporters back in 1989. “It was too dark, too subterranean, and much too horrific. I thought it out-poltered Poltergeist. 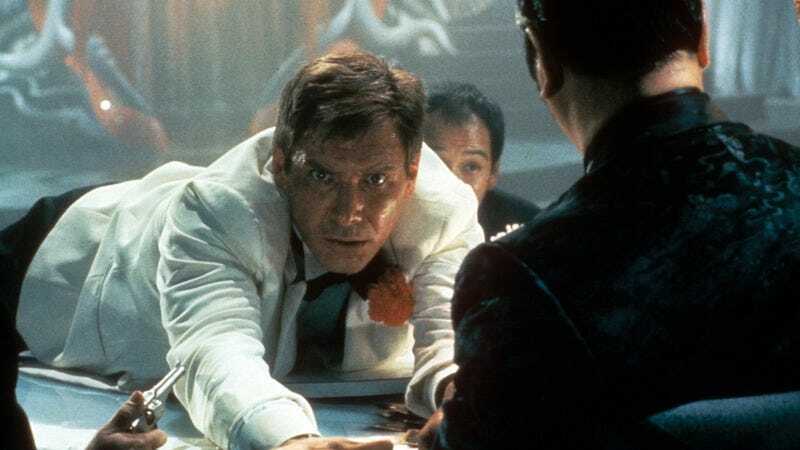 There’s not an ounce of my own personal feeling in Temple Of Doom.” It doesn’t sound like his opinions have softened in the intervening years, with Lacy—whose film airs on HBO on October 7—affirming that Spielberg still views it as the black sheep of the Indy family 33 years later.